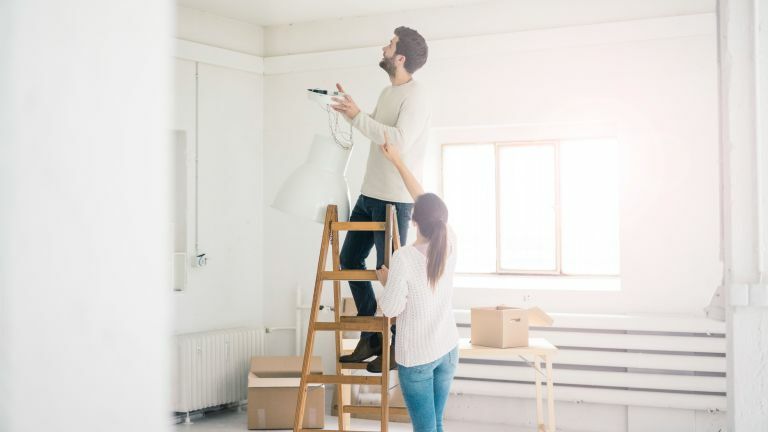 While established homeowners might tackle home improvements with confidence, or at least have a stab at them, that same can-do confidence is distinctly lacking in the majority of younger homeowners. Research conducted by Anglian Home Improvements found that out of the 66 per cent of young homeowners planning a home improvement project this year, three quarters of them don't feel confident enough to tackle even small DIY tasks – and would prefer to splash their hard-earned cash on paying professionals to do the jobs for them. Of those surveyed, only 37 per cent felt confident enough to decorate their homes themselves, less than a third felt they could change a light fixture without help, and only 19 per cent felt comfortable with the level of expertise needed to put up a curtain pole. This lack of DIY confidence is proving costly for young homeowners. In fact, it's estimated that the 18 to 34 year old homeowners who admitted they’d call in a professional to complete their DIY jobs are paying, on average, £102.20 for someone to complete one small DIY job that they could, with a little confidence and know-how quickly tackle themselves. And when you tot up the average prices (below) for the professional help needed to complete the top DIY jobs young people aren’t having a go at themselves, you start to see how costly this lack of confidence is. That's an average of £511 per room – and doesn't include much more involved tasks like upgrading kitchens and bathrooms.